Though his gun gave Kalashnikov fame, it did not give him peace. He found that in prayer. Mikhail Kalashnikov, the great Russian general, and inventor had an old maxim. He would say “Man does not need what is complicated, but the most useful things to man are simple.” That simplicity is reflected in the design of his rifle, known for its legendary reliability, due to its uncomplicated design. If only life was that simple. The old Russian hero, who died in 2013 at the age of 94, never wanted to be a weapons designer. He wanted to invent agricultural equipment before life in his country changed drastically due to WWII. He was called to defend the Motherland as a tank commander. There, he developed the world's most famous rifle; he always joked that had he gotten a chance to built a lawnmower, it would have probably looked like an AK anyway. Despite his love for simplicity, Kalashnikov did not have a simple life. In his old age, he was deeply tortured by the knowledge that his rifle was used to do evil, even though he knew his weapons were also used to destroy evil and defend the Motherland. Though he was told, reportedly, that he was not condemned for this, his sadness continued. Whenever I thought of this famous old man whom I had always admired for his humility, his endless search for forgiveness, I ruminated on his old maxim again, on his love of simplicity, and it occurred to me. I recalled the most simple prayer of all, the Jesus Prayer. I wondered if in those moments of sadness and regret, it was the words of that prayer which comforted him most; it certainly seems to fit his personality. 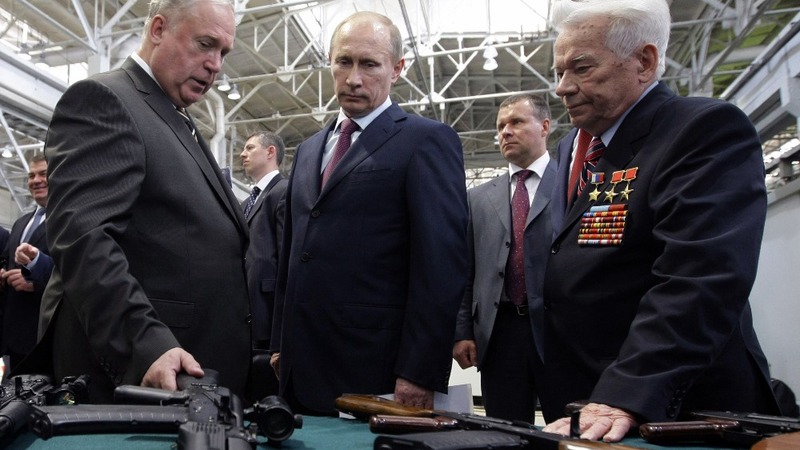 Putin and Kalashnikov look at some of his designs through history. While the newer rifles built for the 21st century on the left have polymer furniture and are fully modular, they retain the legendary Kalashnikov reliability. The words are not complicated, nor filled with theological sophistry, not as glorious as the long litanies, nor as long as canons, nor fit for song as troparions. No, the Jesus prayer is something altogether different. “O Lord Jesus Christ, Son of God, have mercy on me the sinner” - the simplest words a Christian can pray, reminiscent of the story of the Publican and the Pharisee. 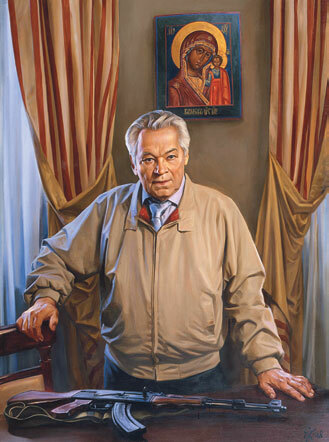 When I thought of Mikhail Kalashnikov seeking repentance, his life of simplicity made me think of this prayer. I can only imagine that it had great meaning to him. We will never know how Patriarch Kirill responded, but perhaps those of us who respected and admired Mikhail Kalashnikov can take solace in the notion that he likely attained peace in his final years, by way of this prayer. If only we could all attain such peace in our life like I imagine Mikhail Kalashnikov did. If only we were holy enough to weep daily for our sins, as he did. Metropolitan Juvenile, Vicar of the Moscow Diocese serving the funeral for Kalashnikov.